It was Zulfikar Bhutto who rebuilt this shattered Pakistan, who gave common man a voice. A green passport to a laborer so he or she can go to distant lands and provide much needed remittances and live with dignity. I have very clear memories of the day in 1979. Our class teacher was a bit shocked, a bit disturbed. But she held herself well. She was Christian and her voice had deep regret. All she did was without giving any reason, dismissed the school early. She said it was being done as a precautionary measure as, there was fear of violence around Karachi. Per the strict policy of the school, we were not allowed to indulge in any political conversation. I boarded the public bus and there came a hawker, yelling off the top of his lungs. I wanted to shut him up so bad, but he was a poor lad, trying to sell the Supplement, which had just gotten off the press. His voice is still fresh in my ears. ” Bhutto ko Phansi ho gayee.” I gave him whatever change I had and grabbed that Supplement. It said exactly what the boy was yelling. I wanted to tear the Supplement in rage, but it would have been an exercise in futility. The date on that one sided supplement will always remain imprinted on the tablet of my memory. It was April 04, 1979. Prior to this dreadful date, I also remember leafing through the “Daily Jang”, where one of a kind character, called Zia Ul Haq had rejected the clemency appeal of Zulfikar Ali Bhutto, filed by Begum Bhutto or perhaps his sister. He had cited the saying of Prophet PBUH, “If Fatima Binte Muhammad (PBUH), would have committed a crime, she would have gotten her due punishment.” That news item left me totally flabbergasted at the age of 14. How in the GOD’s name did Zia come up with that one? ZAB’s crime was not even proven to the extent, that it was worthy of such a harsh sentence. To say the least, you don’t hang some one on purely circumstantial evidence. You don’t just hang someone, for who the heads of states reach out and request clemency. The names of global leaders and their list was long enough. The people of Pakistan perhaps were shocked, what was being done to their former PM. Thousands were jailed, and given a third degree treatment, just for showing their dissent. The same Prime Minister, who gave them hope after a shameful defeat of 1971. Where Pakistan lost its significant half. Where thousands of its sons were taken as Prisoners of Wars and it was Bhutto who demonstrated his magical skills at Simla to bring them back. It was him, who gave the first real constitution to the country after 26 years of its independence. It was Bhutto who rebuilt this shattered Pakistan, who gave common man a voice. A green passport to a laborer so he or she can go to distant lands and provide much needed remittances and live with dignity. It was ZAB, who brought the entire Muslim Umma to Pakistan for a Summit in 1974. The same city of Karachi was glowing during those days. PIDC House, Inter Con and Baradari with spectacular illumination gave the glimpse of a modern Pakistan. Zia really underestimated the power and legacy of a Bhutto. Bhuttos never die. Their spirit lives on. From the gallows of Rawalpindi Central Jail, where Tara Maseeh was forced to pull the lever, to the serenity of Garhi Khuda Bux, the spirit of Bhutto lives on. If you look very closely, even till this day, the adversaries are scared of that spirit. In Pakistan there are only two schools of thought in Politics, one is Bhutto and the other is anti Bhutto. The side of Bhutto sees the power of common men and women, and the anti Bhutto wants them to be subservient forever. 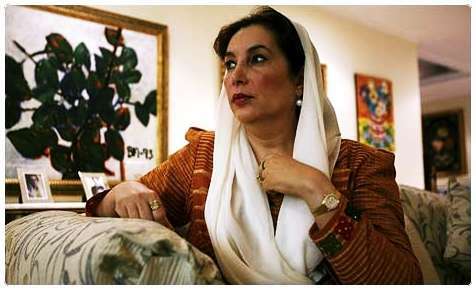 Bhuttos never fear death, they embrace it like martyrdom. This is the reason why the chants of ” Jeeyey Bhutto”, go on till this day. Bhutto is not a name it is a sensation. The big question is, who’s side are you on?